The Ibanez RG 350MDX Electric Guitar takes the Ibanez RG series further into the metal zone. With the right choice of pickups, flat and fast bolt-on neck and double-locking trems, the Ibanez RG 350MDX Electric Guitar has dive bombed and crunched its way to classic status. Though it rocks heavy, this electric guitar is made of comparatively lightweight basswood, which makes it very comfortable for extended playing. With a good balance of highs and lows, basswood is between alder and mahogany in sound character. 24 jumbo frets and a fast Wizard II neck offer easy playing for leads and rhythm, and an Edge III bridge offers great tremolo control. Made just like the axes of Korn’s Munky, the Ibanez Munky APEX2 is the perfect 7-string electric guitar for the aspiring nu-metal head. It has a mahogany body, 5-piece maple Wizard II neck, bound rosewood fingerboard with jumbo frets, and a string-thru-body design. Munky’s authentic tone comes loud and clear from the dual DiMarzio PAF-7 humbuckers. 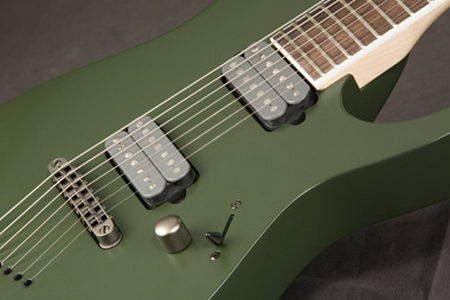 The Ibanez Munky APEX2 Electric Guitar also features a TonePros adjustable bridge, sealed die-cast tuners, single volume control, and sleek Green Shadow finish. The only inlay is the “Apex” logo at the 12th fret. Just like Munky does, this guitar is tuned at the factory to A-D-G-C-F-A-D.
Co-designed with Munky, the Munky APEX1 Electric Guitar is a serious 7-string guitar! 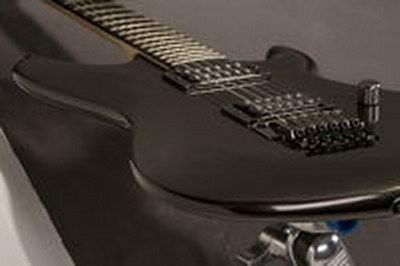 This guitar is based on the Korn guitarist’s hot-rodded K7, but with all-new inlays and Biker Black finish. It has a mahogany body, all-new 5-piece Apex Prestige maple neck, rosewood fingerboard with “Star 69” inlays, and jumbo frets. A set of DiMarzio PAF-7’s crank out the same tones that helped propel Korn to the top. an amazing guitar for satisfy the Master of Tone. You’ll love the Ibanez JS1200 Joe Satriani Signature Guitar, if fast solos and sweet tone are your thing. It took Ibanez many years to create guitars that would satisfy the Master of Tone, and the result is superb! The unique, lightweight JS aerofoil design allows the guitar to rest comfortably against the body and provides easy access to upper frets. Multi-radius Prestige neck JS1200 is an exact digital rendering of the neck on Joe’s favorite axe. Its vibrant resonance is translated into endless sustain through DiMarzio humbuckers PAF Joe at the neck and a Fred at the bridge. Combination of 25 1/2” inch neck scale and DiMarzio pickups provides wide dynamic range and versatility. Screamin’ fast JS Prestige maple neck features smaller 6105 frets and tighter radius on a rosewood fretboard. 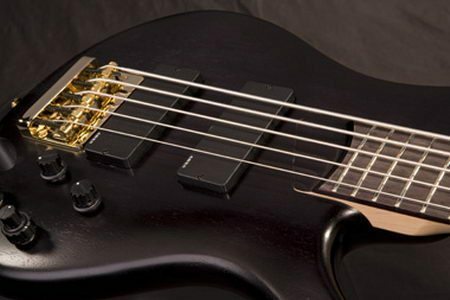 Dive bomb with aplomb on the Edge Pro bridge. High pass filter on JS1200 volume pots maintains highs at low volumes. believe it or not, it LIGHTS UP! The Ibanez JEM20TH Steve Vai Limited Edition Guitar commemorates two decades (1987 – 2007) of the extraordinary and ground-breaking JEM Series of electric guitars. But this time his JEM isn’t the original basswood or the later alder. It’s made of something completely different, it’s got completely new pickups … and believe it or not, it LIGHTS UP! Contoured body with 24-fret Prestige neck provides easy access to all registers. Deep routed tremolo cavities allow pitches to be radically lowered and raised.&nbsp. Vai’s choice of specific DiMarzio® pickups for this musical instrument combined with Ibanez Split-5 wiring provide incredible tonal versatility. Steve Vai’s Universe – the guitar that ignited 7-string revolution – allows almost effortless transition from 6- to 7-string techniques.